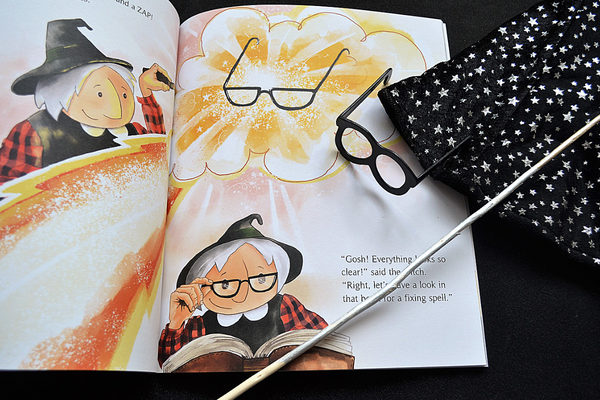 One of the great things about this book is that the personalisation for Arthur came out looking quite a lot like him, so it is really easy to imagine him as a character within the story! 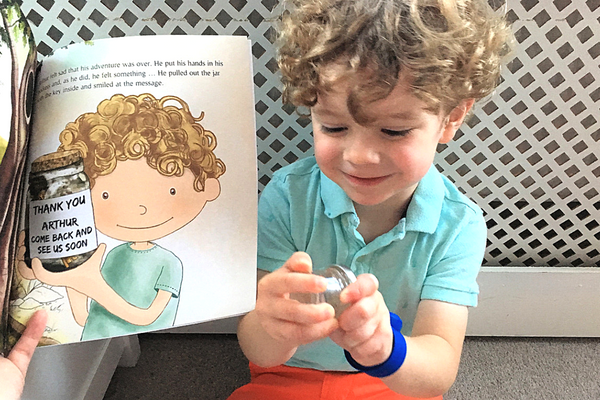 The book can be personalised in six ways: gender, skin tone, hair and eye colour, hairstyle and colour of glasses (if applicable) - Arthur helped me to choose the right hair colour and when the book arrived, he ran upstairs to collect some clothes to put on (including his blue slap-band watch) so that he could look exactly like Arthur in the book! I was desperately trying to locate a small shovel for Arthur to ‘dig’ with but I just couldn’t find one in time! 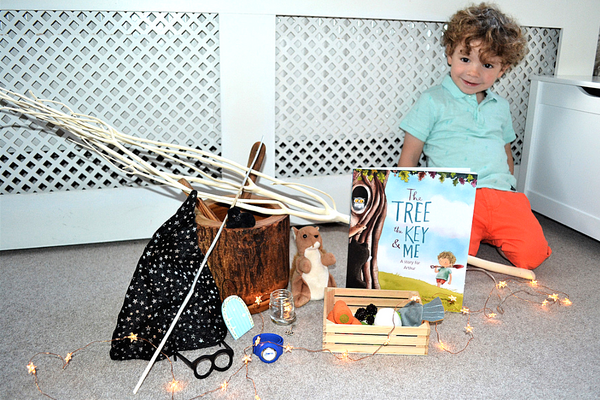 Arthur was really intrigued by the props and started to guess what the story could be about. He was desperate to explore the objects and I could see him scanning the set up as we were reading, trying to predict what we may use next! 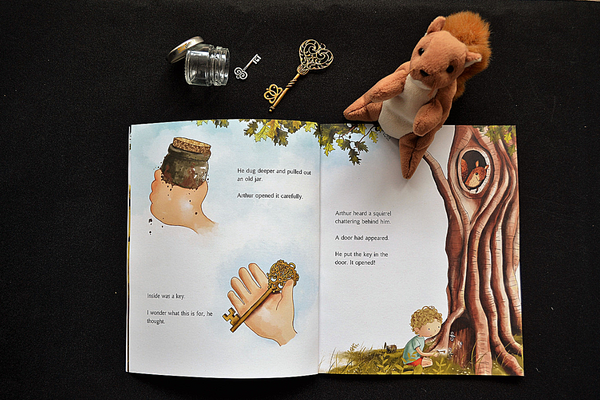 Being able to act out parts of the story using the props, such as opening the jar and using the small key to open the door - just like in the story - helps young children to understand and also immerse themselves in the story line. Arthur started to repeat the phrases within the book that his character used, such as “I will do my best!” Acting out the story as we went along. 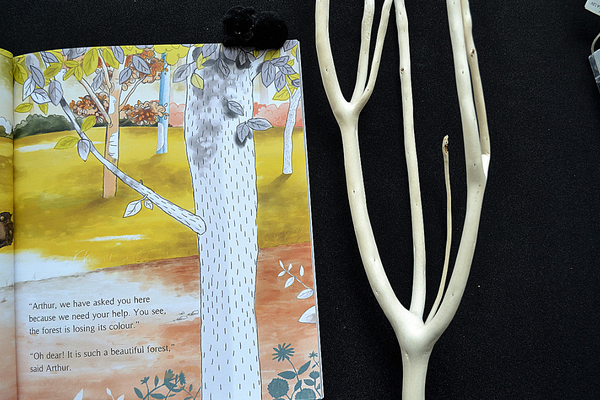 The story line in this book is great for asking questions and making predictions, Arthur was intrigued as to why the forest was losing its colour and he loved the idea that he could be the one to help! 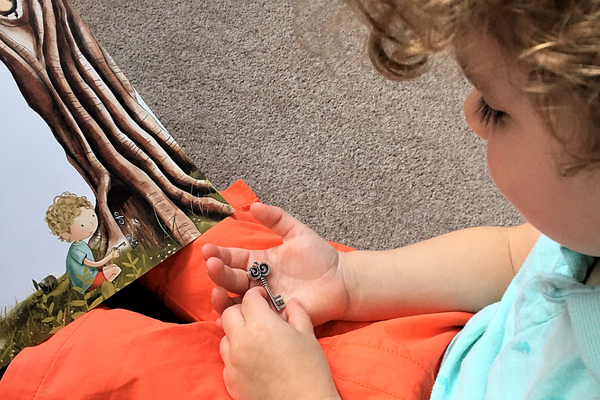 Arthur really enjoyed the detail in the illustrations, he looked carefully at the pictures as we were reading and asked questions and made comments as we went along. 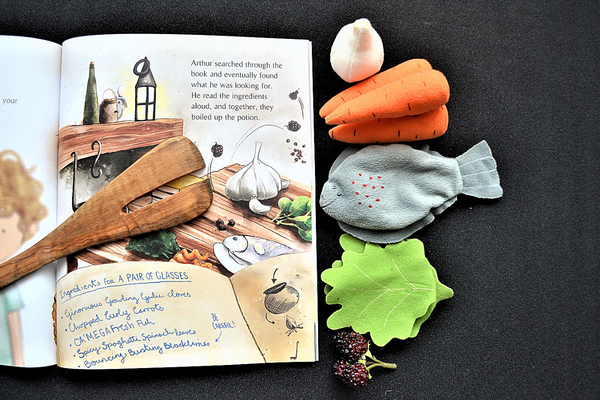 The handwritten ingredients for the spell offered a nice listening and attention opportunity for Arthur to not only point out the ingredients on the page, but also to find the ingredients within our story props and add them to our pot to make the spell ourselves! Here are our 'bouncing blackberries' about to bounce right out of the spell pot!! 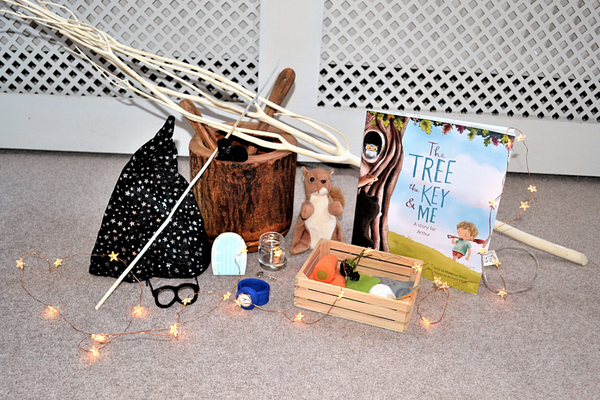 We used the plain branches from our props as part of an activity to add colour, using the idea from the bear that Arthur could help in some way! 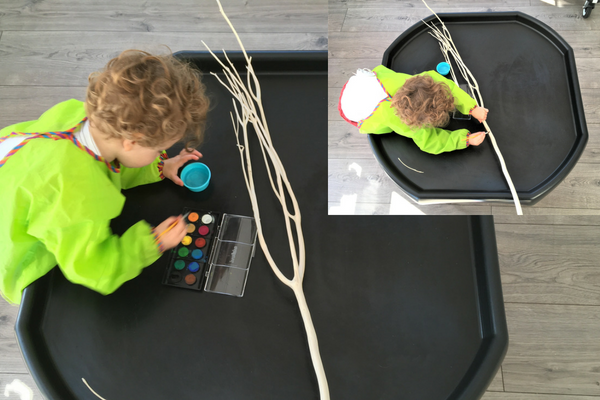 This activity is great for an individual, or as a collaboration within a group, allowing for lots of language around colour and colour mixing, talking about nature and noticing similarities and differences. Of course, it also leaves a wonderful object to display afterwards! 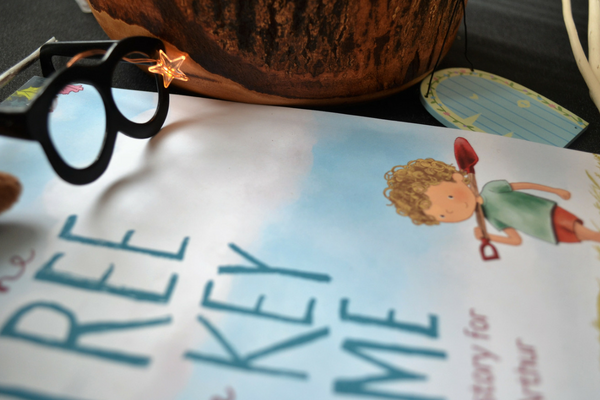 Personalised books are great for helping children to spot and recognise their own name and this book has LOTS of opportunities! 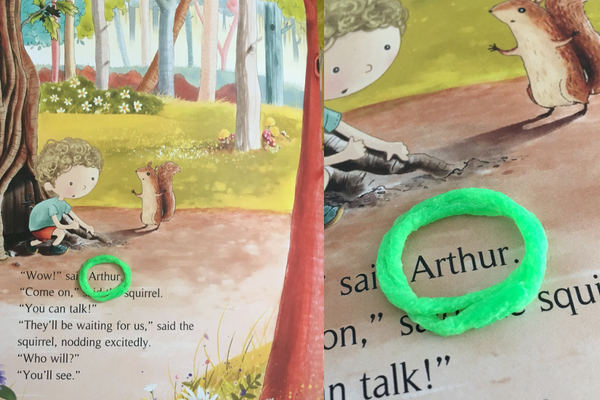 For this reading activity I used these wax covered bendable strings to make a hoop which Arthur could use to find and circle his name. 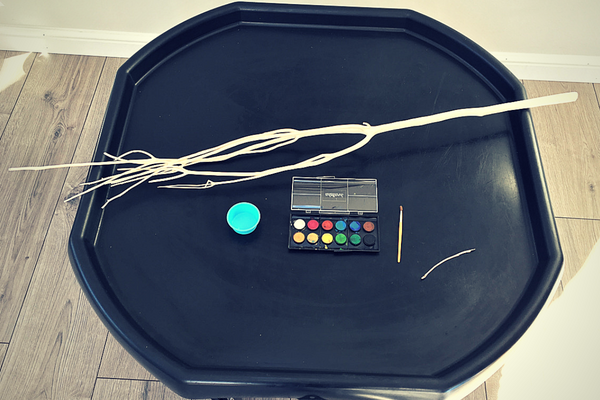 The wax means they stick to the page and can be reused over and over again. 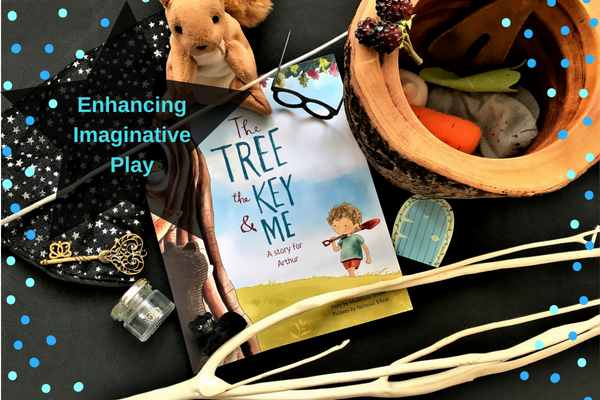 You can also chop the string to underline things like tricky words (in different colours if you wish) when reading with a child or a group of children in a setting. - Books are printed in the UK, posted worldwide, and despatched within three working days. - Books are printed on high quality 100% recycled FSC certified paper. Printed with award-winning sustainable printers the ​Pureprint Group​. 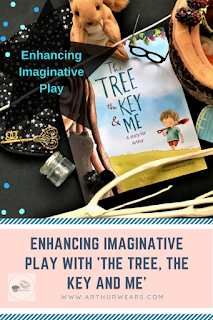 - For every book sold, Librio plant a tree with ​Trees for the Future​. 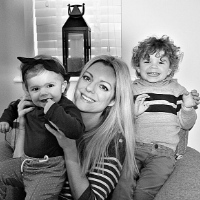 - For every book sold, Librio donate £1 to literacy charities. They do so much more than “just” donate money. 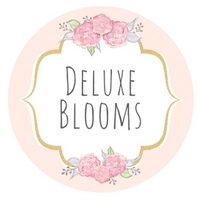 - Super easy and efficient ordering process. - The book is currently available in 18 languages and dialects, including UK and US English, French, German, Swiss, Italian, Spanish and Welsh. 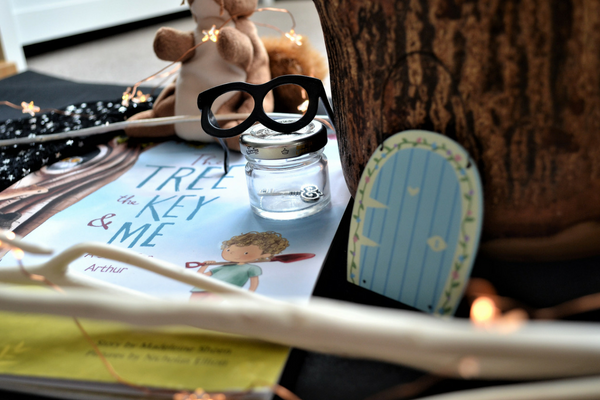 We absolutely loved this personalised book from Librio - The Tree, The Key and Me, and I hope we have given you some useful ideas of how to use story props and activities to bring the story to life! I'd love to hear whether you have used this book too and how you get on? Disclosure: We were given a code for this book and compensated for our time. All words, ideas, opinions and activities are our own. What a lovely idea! I think my children would adore this. The props are brilliant as well. I would never have thought of using them. I love the fact you used the story to create a series of activities. 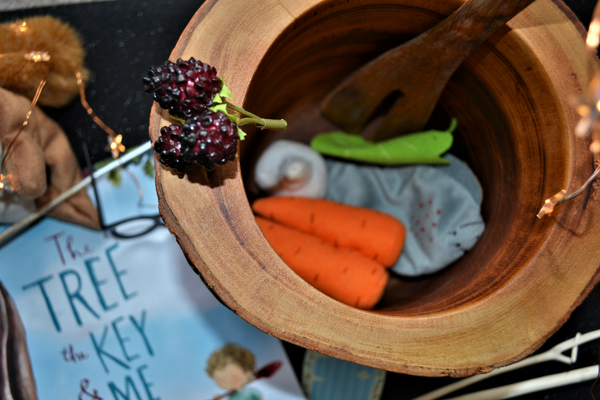 Your little man is so lucky to have such a creative mama! Aww I love that you really make the book come to life, and how cool that the little boy in the book looks so like Arthur! I absolutely love the idea of sourcing props for a story. Pixie would love this so much, I think I might order a copy for her! Ah it looks so much like him in the book! So cute! What brilliant ideas! It's a lovely book and these will really help bring it to life.